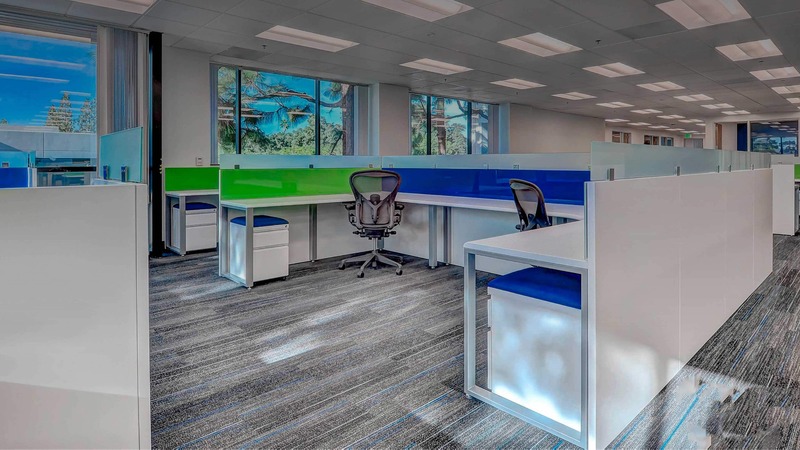 In 2017, DeskMakers was tasked with creating an ergonomic desk design which helped to create an environment of workplace wellness. 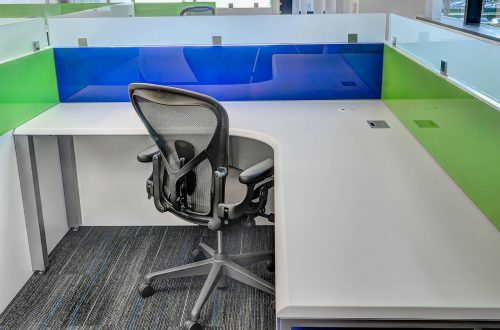 This installation marks the first time DeskMakers used 3DL, thermofoil soft-edge surfaces, a feature that is now available in all DeskMakers installations. 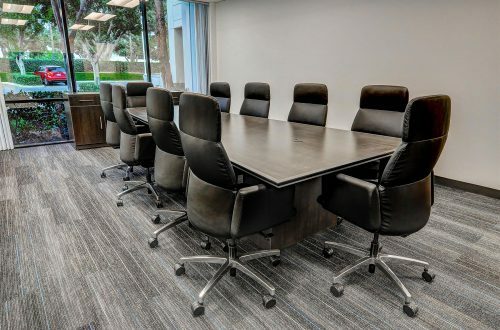 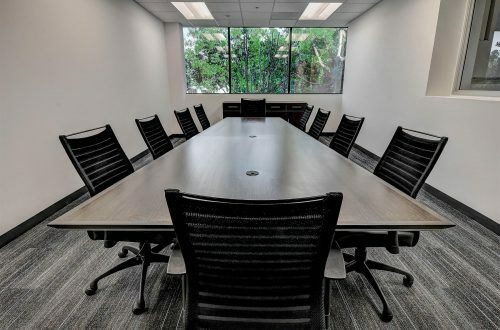 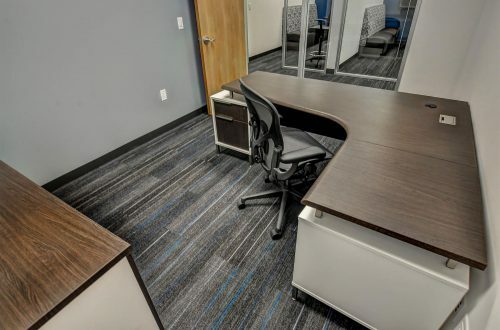 This type of softened laminate edge is beneficial for workers because it creates a more comfortable desk experience that is gentler on employees’ wrists. 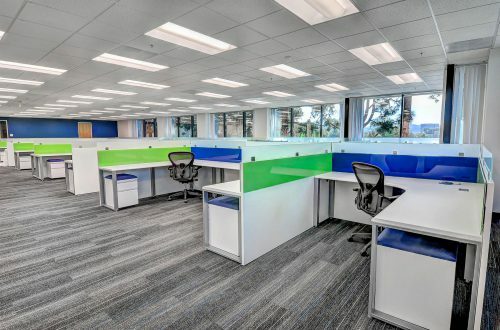 The interior workstation desks of this unique space feature magnetic-backed painted glass, which the employees can use as writing surfaces. 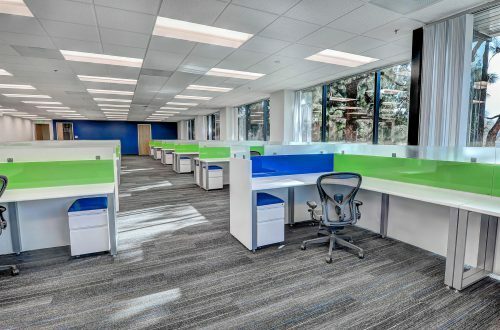 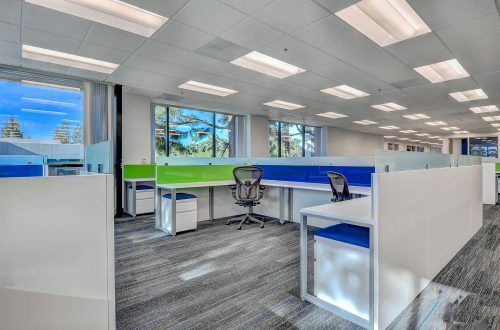 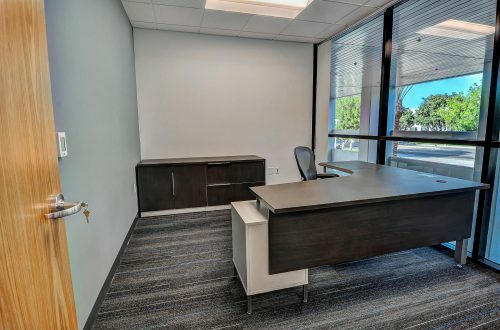 All of the DeskMaker products used throughout the office were created with similar materials and colors, which created a unified and cohesive look.